T-shirt industry is a multi-billion dollar industry and in online it's the fastest growing part of this industry. There are lots of popular print on demand sites are available in online. For example Teespring, Merch by Amazon, Redbubble, ViralStyle and so on. You can easily make money by selling your t-shirts. You save money on hiring designers by creating your own t-shirt designs. 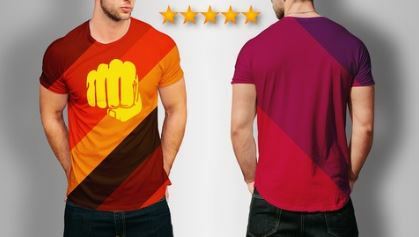 Even if you've never touched any types of design software in your life, Still it's possible for you because I teach you How To Design Bestselling T-shirt Using Online Free Software and tools With Easy To Follow Step-by-Step Videos. T-shirt business is a numbers game! If you have more quality t-shirts in your store or print on demand sites then surely you will get more sells. In this course, I am going to walk you through step-by-step how to create a Word Cloud t-shirt design from scratch, which you can then sell on Merch by Amazon (or Teespring or Redbubble, etc. ).